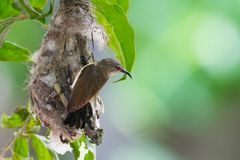 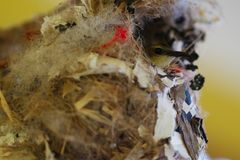 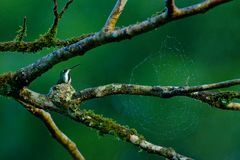 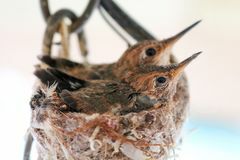 Hummingbird nest with young. 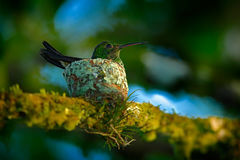 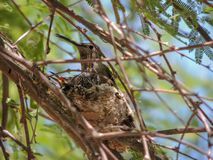 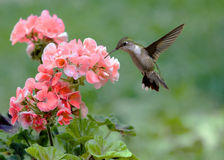 Adult hummingbird feeding two chicks in the nest. 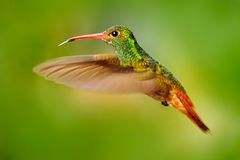 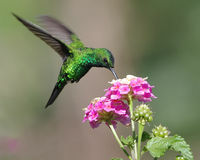 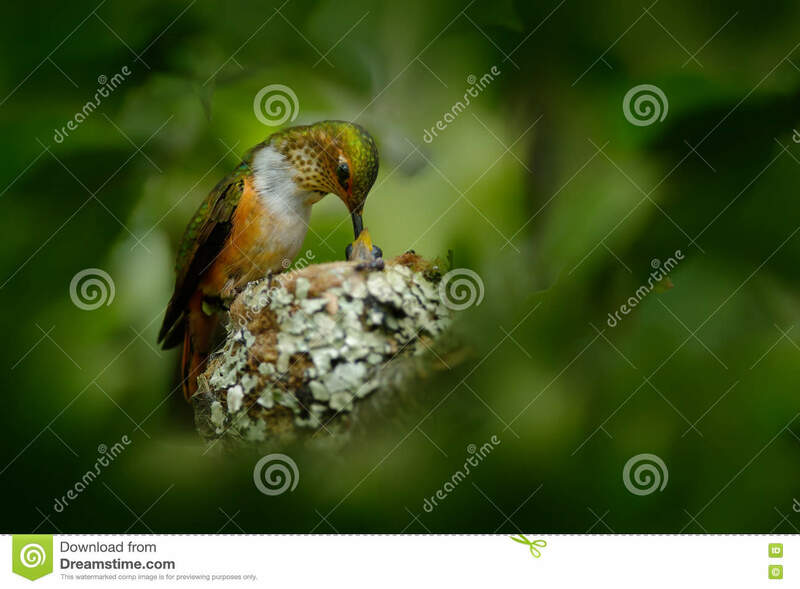 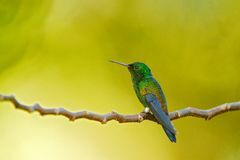 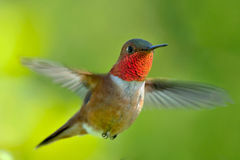 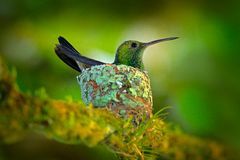 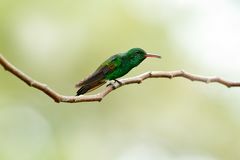 Scintillant Hummingbird, Selasphorus scintilla. 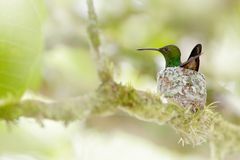 Hummingbird nest with young. 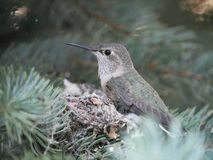 Adult hummingbird feeding two chicks in the nest. 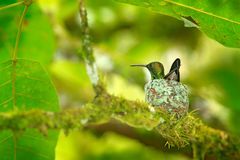 Scintillant Hummingbird, Selasphorus scintilla, Savegre, Costa Rica.